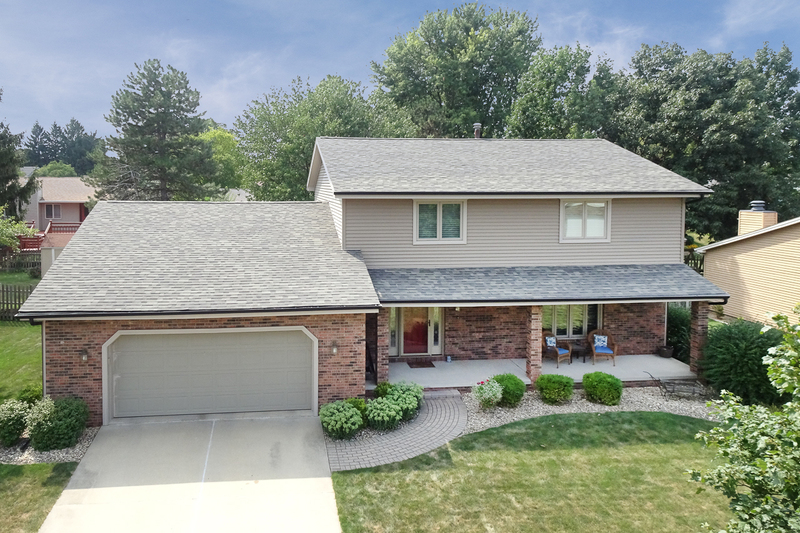 1216 Kim Dr. Bloomington, IL 61704 – SOLD! One Owner Home with LOTS of Updates through the years! Pride in ownership truly shows here – From the custom details in the crown molding & pencil mold trim, to the soft close cabinets & beautiful tiled showers. Inviting covered front porch. Large formal living room plus large family room off the eat-in kitchen with custom built-in shelving. Updated eat-in kitchen has a breakfast bar, black/SS appliances, double door pantry, and access to the backyard patio through new Pella sliding glass doors with inset blinds. Big first floor laundry room with half bath and custom cabinetry! All four well sized bedrooms can be found on the second floor. Hall full bath is a stunner! Master Bedroom includes private master bath. Partially finished basement offers more recreational space, surround sound, and tons of storage! Oversized two car garage. Must see inside! !